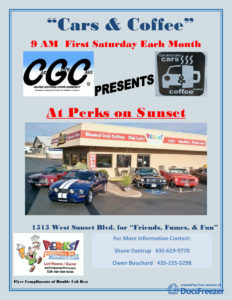 9 AM 1st Saturday each month. Friends, Fumes and fun. See the flyer.